Today, engineering entertainment company Two Bit Circus announced details for its upcoming “Park as a Platform” program, which will allow game developers to monetize their games through the company’s physical platform. The movement will allow developers to showcase their games in a Micro-Amusement Park featuring a whole bevy of fresh experiences. The program leverages Two Bit Circus’ 38k square foot Micro-Amusement Park as a physical development and publishing platform, complete with revenue share, built-in customers, and backend API/data collection. Two Bit Circus aims to smooth the path to public exhibition and create a test lab for developers, with the goal of fostering innovative approaches to play and encouraging a constant influx of fresh, diverse content. Out-of-home entertainment (location-based entertainment) is becoming increasingly popular, yet traditional approaches are limiting the quantity of innovative content that’s available. 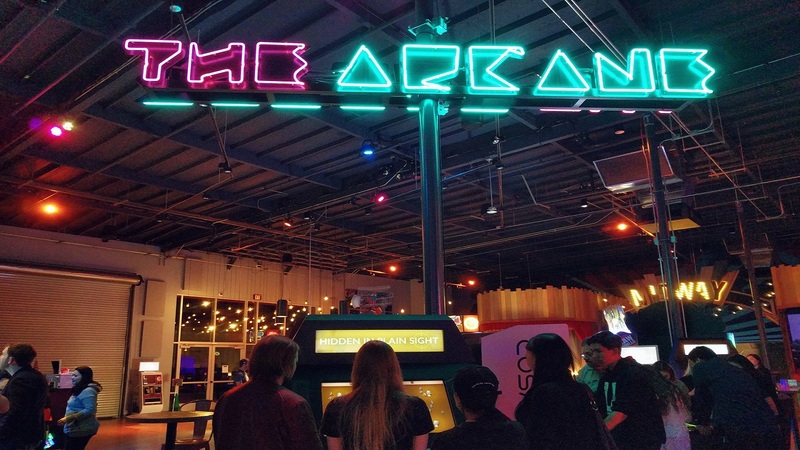 By connecting developers directly with patrons of their Micro-Amusement Park, Two Bit Circus’ Program creates access to revenue, awareness, and enthusiastic beta testers. The Platform Program launches with numerous projects, including: Death Squared, a puzzle game from SMG Studio, first released for consoles; Hidden in Plain Sight, a stealth party game from indie developer Adam Spragg; ClusterPuck 99, a digital air hockey game from PHL Collective; and Line Wobbler, a one-dimensional dungeon crawler controlled with a door stop from Robin Baumgarten. As a first step toward entering the Program, developers are invited to submit their products to be featured at one of Two Bit Circus’ Beta Nights — where enthusiastic locals come out to play and test new content. The Two Bit team reviews submissions to find games with the potential to create great new experiences and get people playing elbow-to-elbow. With a community of support, Two Bit Circus aims to encourage developers, increase the potential for innovation, and ultimately allow the world access to a greater variety of engaging and social gaming experiences. For those that want to check out the program, Two Bit Circus has released a website interested creators can check out. Stay tuned for more news here on Gaming Trend.